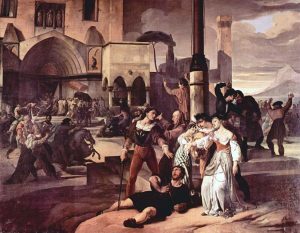 I have released on Patreon.com a three part set of episodes on The Sicilian Vespers. On the fateful night of 30th March 1282 at sunset on Easter Monday a local revolt in Palermo erupted and spread over the whole island of Sicily. Was it pre-planned, or spontaneous, or a mixture of the two? 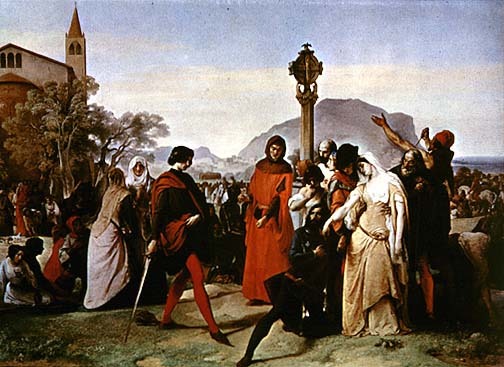 Either way, it was a pivotal event for all major European powers on the Mediterranean; the Papacy, the Byzantine Empire, France and Spain/Aragon, as well as Italy itself (Pictured: Paintings of the event by Francesco Hayez).